There are a number of quality VPN options out there. ProxyRack is an Australian company that has recently added their own product to this list. They offer a solid VPN with clean, easy to use software and plenty of network options. Proxy Rack is compatible with both Windows and Mac PCs. While testing the Windows version of the product out, I found the download and installation to be an absolute breeze. After a simple registration procedure on their website, you gain access to the software download. This took only a few seconds and was swiftly followed by a quick and easy installation. You then have to log in using the same details that you registered with on their homepage. Within minutes from first accessing the website you will be ready to go. As with the installation the software is incredibly easy to use. It is simply a case of choosing the country you want to access and then pushing the switch to turn the VPN on. The software has a clean and simple design that even people taking their first steps into VPN usage will have absolutely no trouble with. Once you have connected, the software minimizes into the hidden icons tray and stays there hidden from view until you require it again. This means that while the software was running I had absolutely no problems using the rest of my computer and I didn’t notice any slowdown in speed. When you want to turn the VPN off or change to a different network, it is a very simple process. You just click on the Proxy Rack icon to open it and then select the appropriate button. At the moment Proxy Rack has a total of 19 connections to 12 different countries. This includes six in the US, the UK, Australia, Singapore, India and more. They also claim to be adding new locations every week, which is great if the one you are after isn’t already on the list. 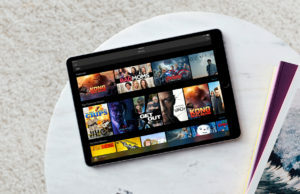 They also offer a number of security features, such as the option to automatically cut your connection to the internet should your VPN disconnect. This is vital as it means you aren’t at risk of accidentally connecting directly to a public network when using your VPN. Proxy Rack also offers many of the features people have come to expect of a VPN including unlimited bandwidth, unlimited server switches, a DNS leak fix and a handy multi-login that allows up to five accounts to use the software. In terms of performance, I had no problems connecting to any of the available networks. Of course while connecting to a VPN is one thing, another is making sure the network has enough speed to make the connection usable. Proxy Rack’s networks were all fairly fast and after connecting to my chosen network I didn’t notice any real difference in speed compared to when not using a VPN. I also had absolutely no problem streaming videos. This is especially important as Proxy Rack claims to be able to unblock the US version of Netflix. It even has a network dedicated to the task and shows how many Netflix films the VPN has unlocked through a counter on the website. Of course, I wanted to test this out myself so I connected to an American network and pointed my browser towards the Netflix USA homepage. The VPN had no problem accessing this site. Furthermore using a UK network I was easily able to access the BBC’s catch-up TV service IPlayer as well as the UK version of the BBC website. For those people who don’t necessarily want to connect to a specific country but still want the privacy features a VPN offers, Proxy Rack also has the option to simply connect to the current fastest available connection. As with the rest of the product, getting to Proxy Rack’s customer service is very simple. All you need to do is click on the button in the app and it takes you straight to the section on their website. Proxy Rack’s customer service is open Monday through Friday from 10 till 5 EST. You simply contact them by leaving a note in their helpdesk. It is also possible to contact them without an account through a pop up live chat on their homepage. One of the most surprising things about Proxy Rack is that it is completely free to download and use. With many VPN’s costing around $13 a month having access to a free VPN can lead to quite a saving. There are no monthly limits on how much you can use it, no trial period and no credit card details that need to be entered for a potential payment later on. 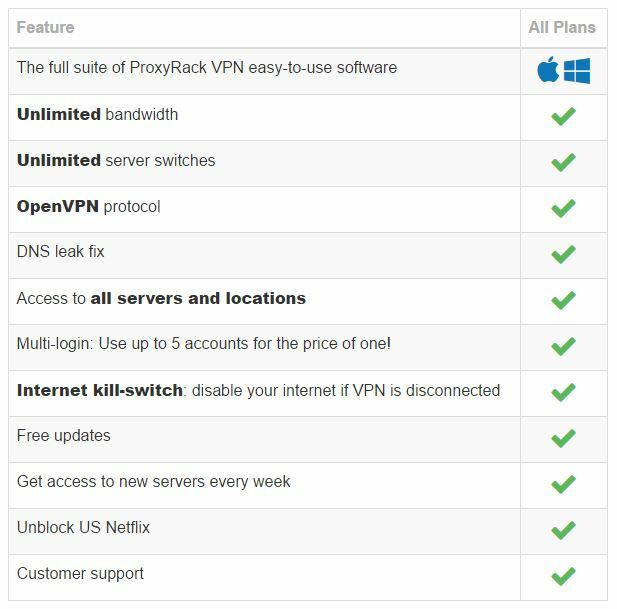 As proxy Rack is a fairly new VPN I guess there is the possibility that they will start to charge for their services at some point, however, it is completely free at the moment and therefore definitely worth a download. 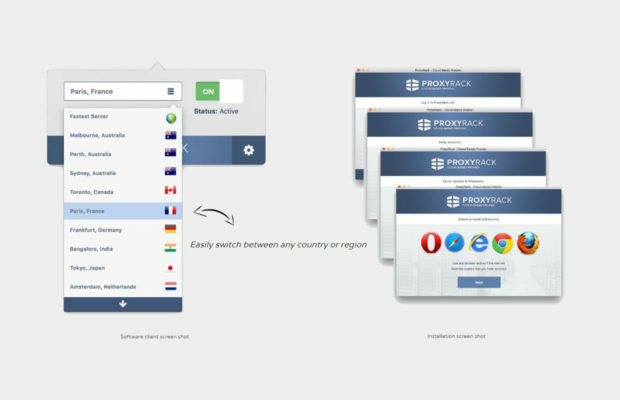 Proxy Rack offers a great user experience for an unbelievable price (free). 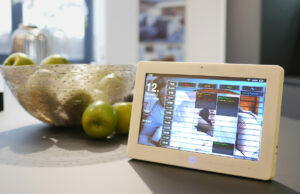 The software is clean and very easy to use, literally just requiring you to select a network and turn it on. 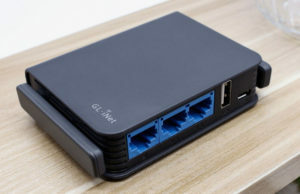 There is a decent number of available networks which all seem reliable and easy to connect to. All in all it is a very good VPN and certainly worth trying out. You can download their free VPN here.